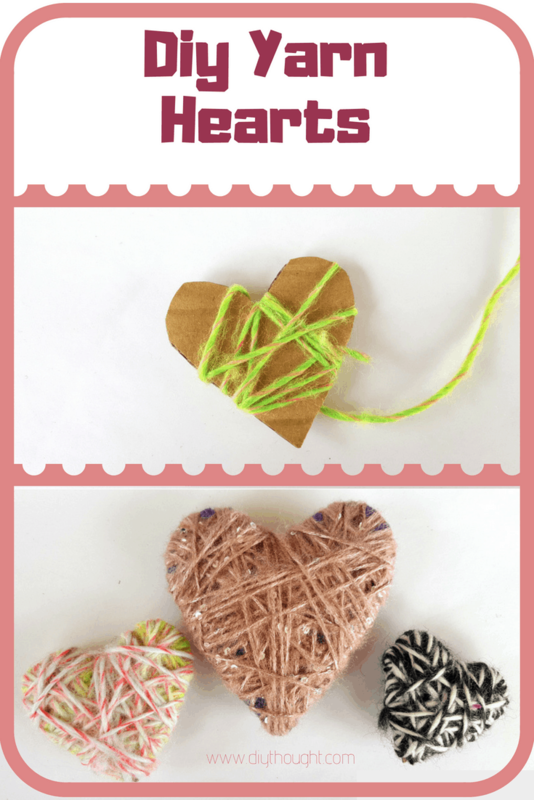 Diy Decorative yarn hearts is a super fun activity to do with children. 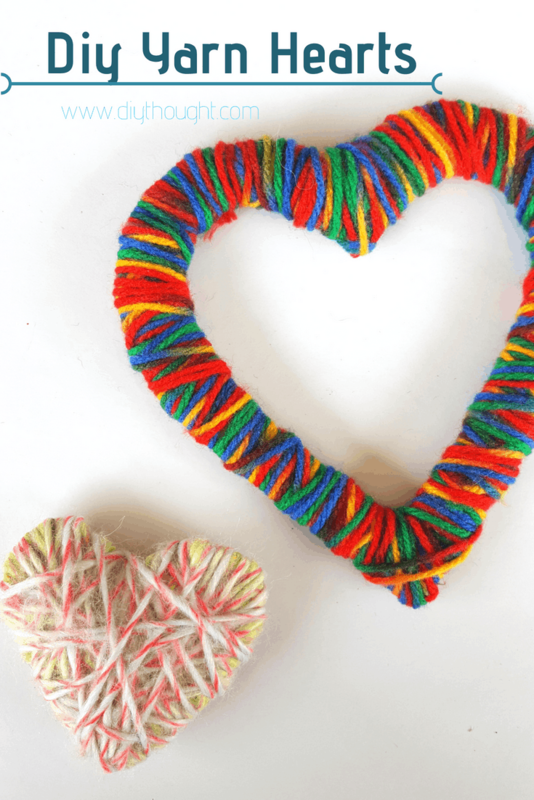 They are easy and fun to make and mess free. 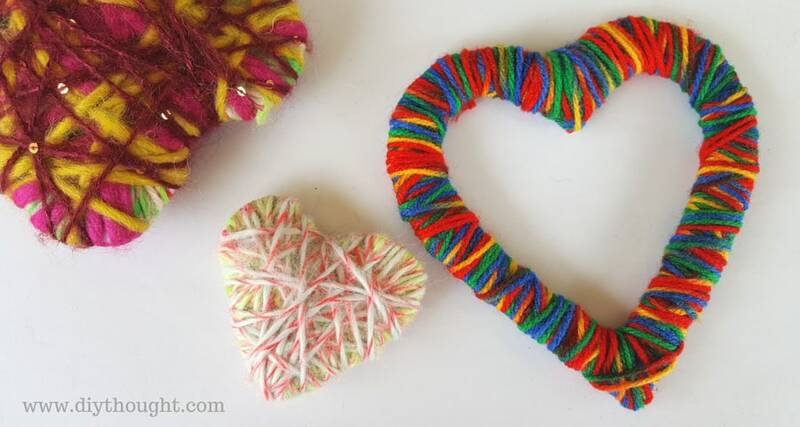 A great activity for all ages, even I thoroughly enjoyed making these! Possible to make in all sizes but the smaller ones are perfect for shorter attention spans. 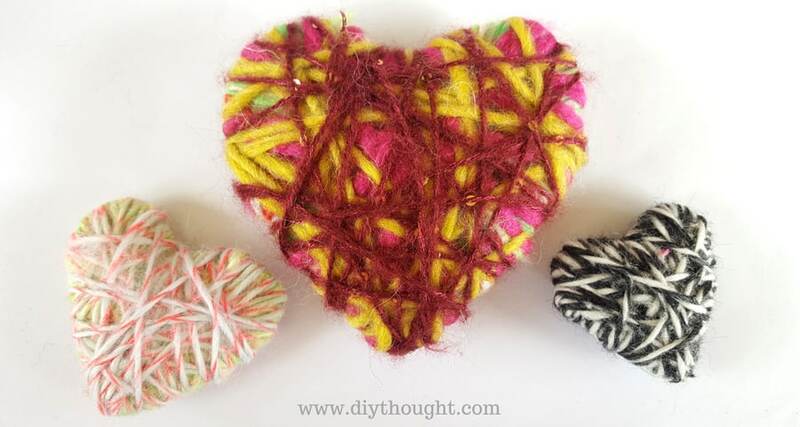 So go and find some old yarn and cardboard and get creating! The first thing you need to do is to draw and cut out your cardboard heart. 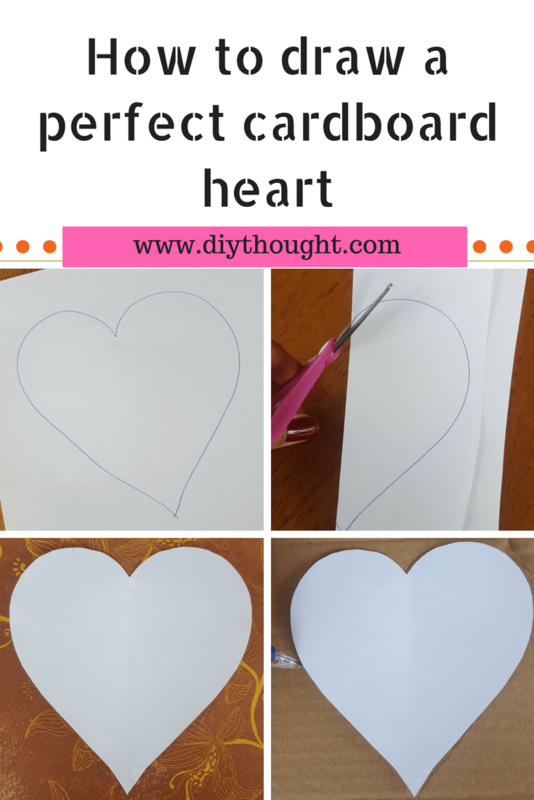 Follow the images above to create a paper heart template to trace onto the cardboard. To do this, simply free-draw a heart onto paper before folding in half and cutting around the best half of the heart. Unfold and place onto the cardboard and then draw around the edge of your before cutting out. 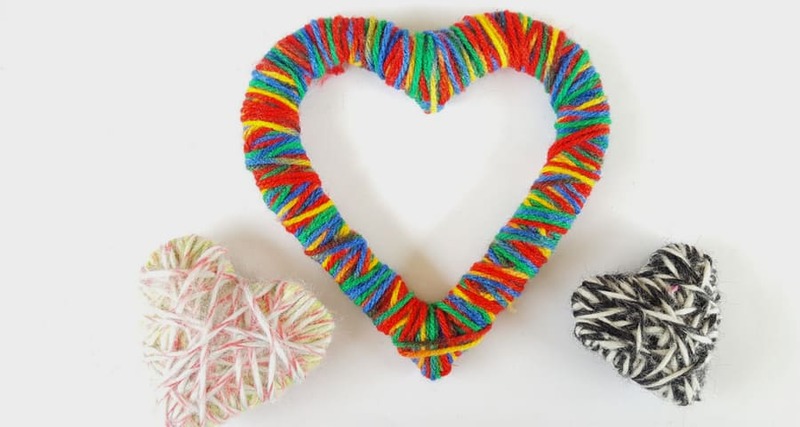 Choose a yarn and start weaving it around the cardboard heart. Change colors to mix up the design but keep in mind that the bottom layer will be mostly covered by the new layers of yarn. My girls loved choosing the yarn and weren’t worried in the slightest that it was going to be unseen! Make sure to keep the tension quite tight to ensure the yarn doesn’t sag and come loose. 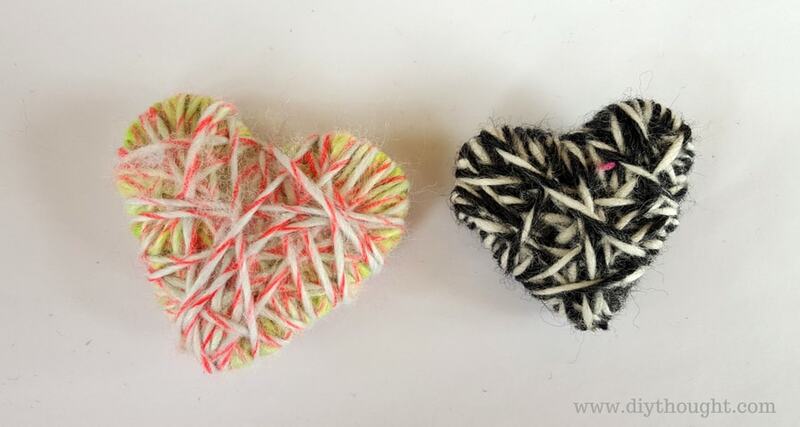 To finish the diy yarn hearts simply tuck the end of the yarn under some tight lower layers. 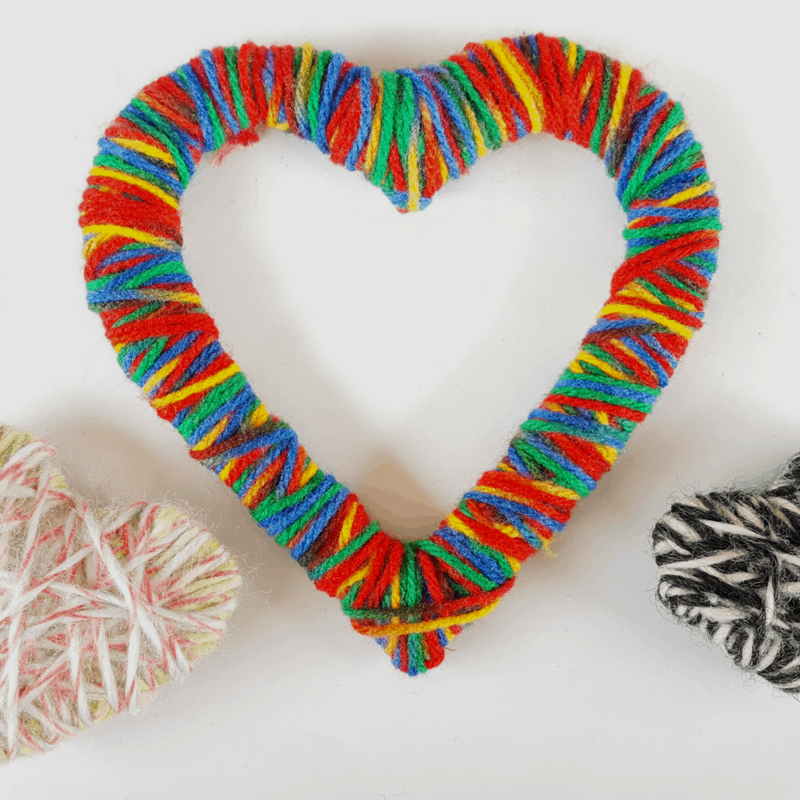 When making the cut-out yarn heart simply create two paper hearts and trace them onto the cardboard with the smaller heart inside of the large one. Carefully wrap the yarn around the cut-out cardboard. 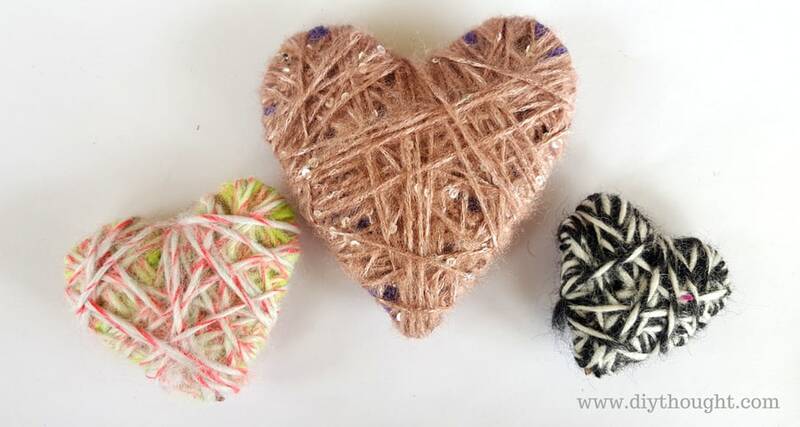 These diy yarn hearts would make excellent Christmas tree decorations or they look lovely as a gift wrap decoration.